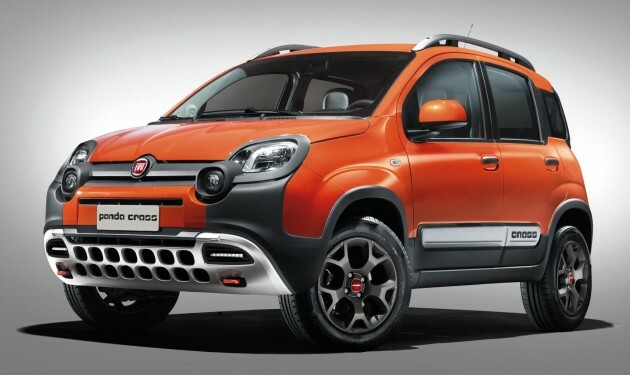 Another variant is set to join Fabbrica Italiana Automobili Torino’s four-wheeled, mechanical-based Ursidae family – making its debut in Geneva will be the Fiat Panda Cross, which expands the all-terrain scope initially defined by the third-generation Panda 4×4. 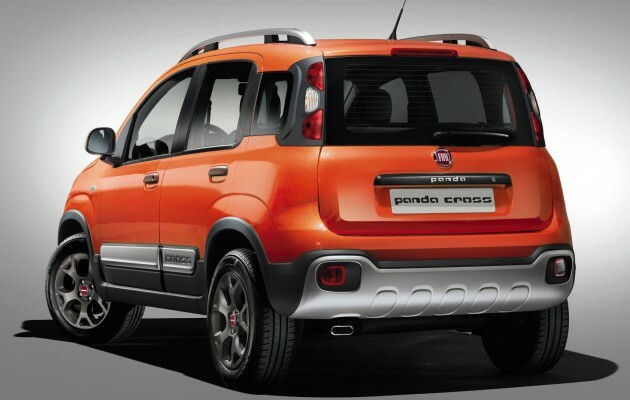 As its suffix suggests, this Panda offers a crossover take on things, all done in rather normal fashion compared to the insane Fiat Panda Monster Truck. The Cross gets oversized 185/65 tyres riding on 15-inch five-spoke V design wheels, and features improved approach/departure angles and increased ground clearance compared to the stock 4×4 version or the likes of the dressed-up LE Panda 4×4 Antartica. Fresh exterior kit comes in the form of new light clusters for the front end, as well as a new bumper and fog lights. Also on, wheel arch extensions, side mouldings with the ‘Cross’ logo and new roof bars with a satin titanium finish, while the rear gets a new bumper with under-body protection. Inside, the Panda Cross features unique fabric/eco-leather upholstery and a new dashboard finish with a distinctive copper fascia, while standard equipment includes a leather-trimmed steering wheel with remote controls and automatic climate control, with the company’s City Brake Control system available as an option. Not too sure what the Italians were thinking when they penned this. Hideous indeed. This FIat is battle ready, can fight zombies, riots , yamato cruiser , jurassic park and hell even godzilla. Can imagine the itallians with short guns yelling pasta! pasta! (intallian for faster! faster! )to the driver of this Fiat. Honestly speaking the car is not ugly just adventurous! We ve seen ugly before even with super cars but this , this is not ugly just an angry panda! Perodua Buddyz designer will be happy with this car. Errr why bother with Fiat. That torino ex dealer is now busy selling viva instead. Fiat is rip, dead, gone, kapish, 6ft underground. I think it’ll be more attractive & cute to call it Fat Panda. With those black patches it’s even more relevant. Unfortunately this model won’t be on our shore or else it will be a great!